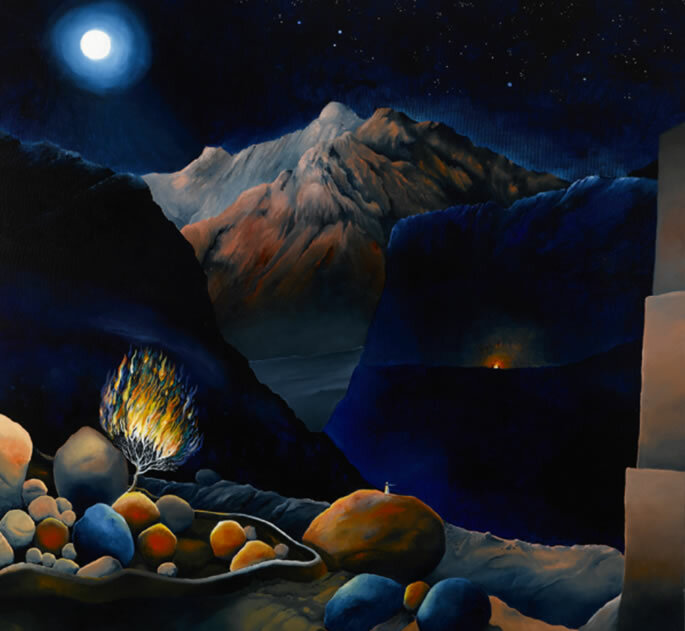 This original oil painting shows Moses standing before the Burning Bush. The landscape is taken from a mountain valley in the Sinai Desert, where I came across a walled garden set among enormous boulders. Beautiful fruit trees were growing, and there was a pool of cool water for the animals. 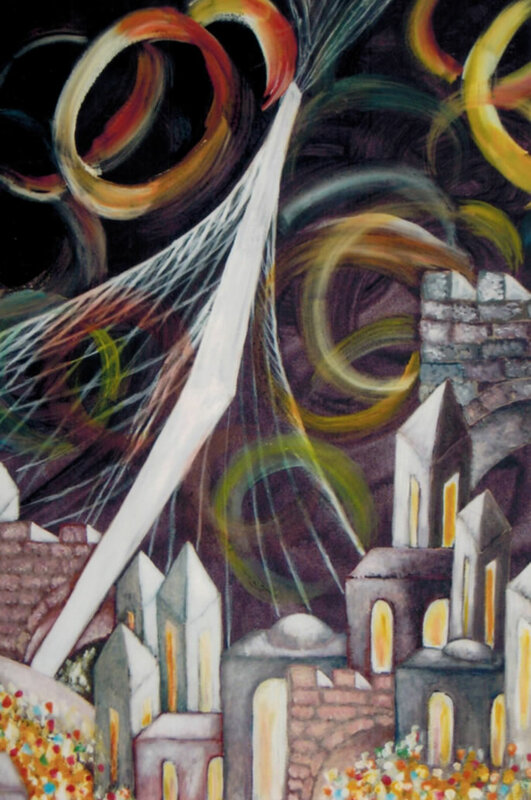 In the painting, I imagine the fiery bush of G‑d at night, with Moses looking on, a tiny figure dwarfed by the enormity of the Divine Presence as revealed in the fire. In the distance, there is a campfire, and its denizens are unaware of the miracle taking place across the valley. 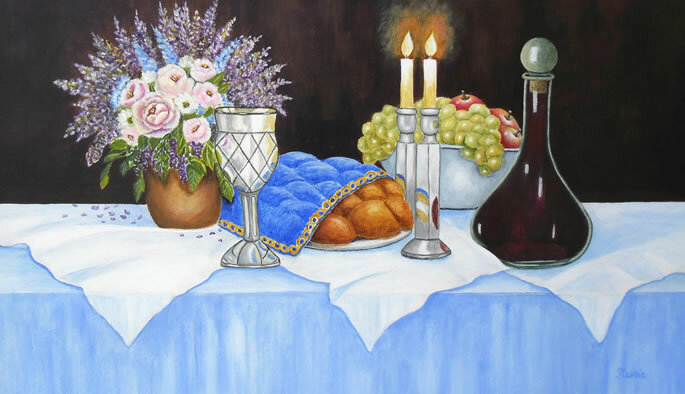 Shabbat is a spiritual bliss that connects us with our Creator. An elderly woman returns form the shuk with some Shabbat treats for her family. 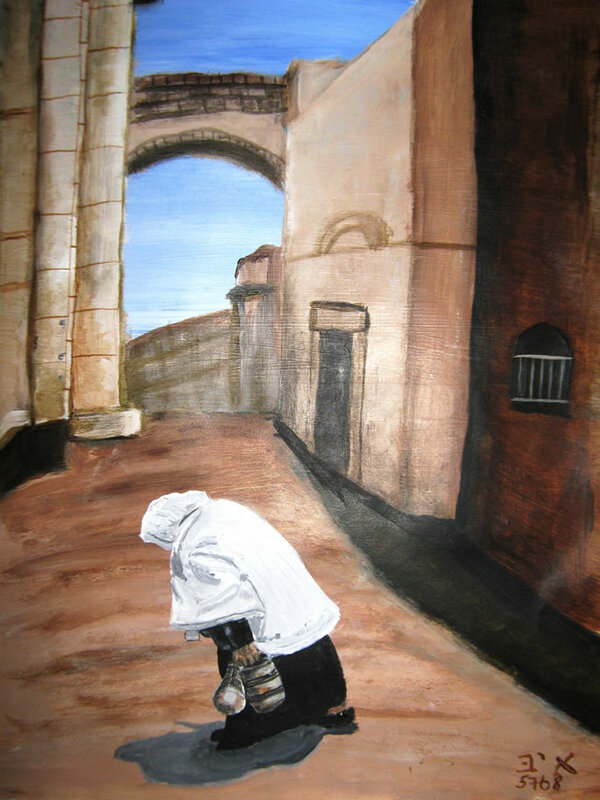 Nowhere can you feel Shabbat like in the Old City. 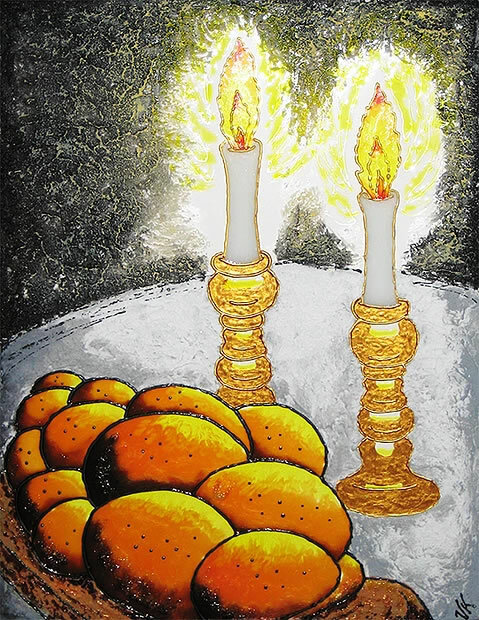 Shabbat is a gift, the most important symbol of Jewish identity. 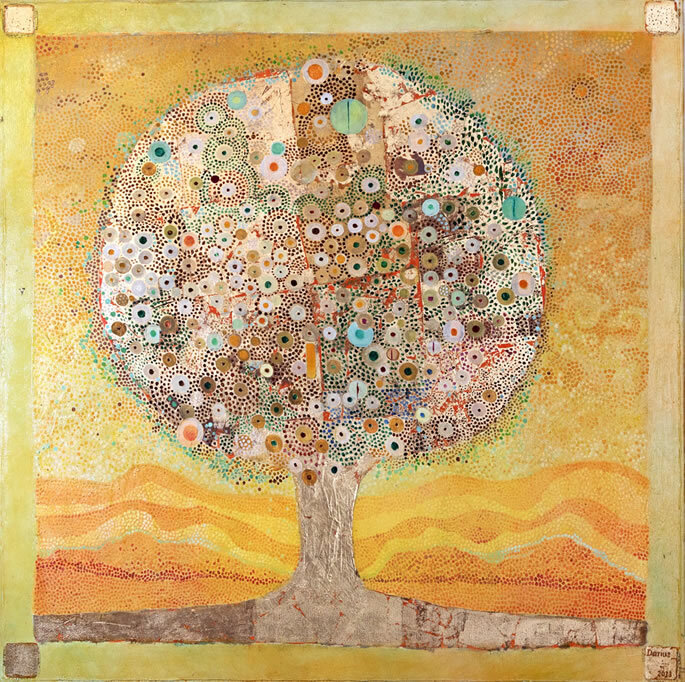 The concept of the Tree of Life is an ancient one in Jewish culture. It holds a central place in Kabbalistic structures, but in my mind is a key image for the Torah itself. When we go to sleep at night, the soul, having tasted Torah and mitzvot in this world, leaves behind the many personas we acquire and ascends to Heaven to renew herself for the next day. Chassidism teaches that we are happy because we know and trust that G‑d is actively involved in every part of our personal lives; especially in our darkest challenges. 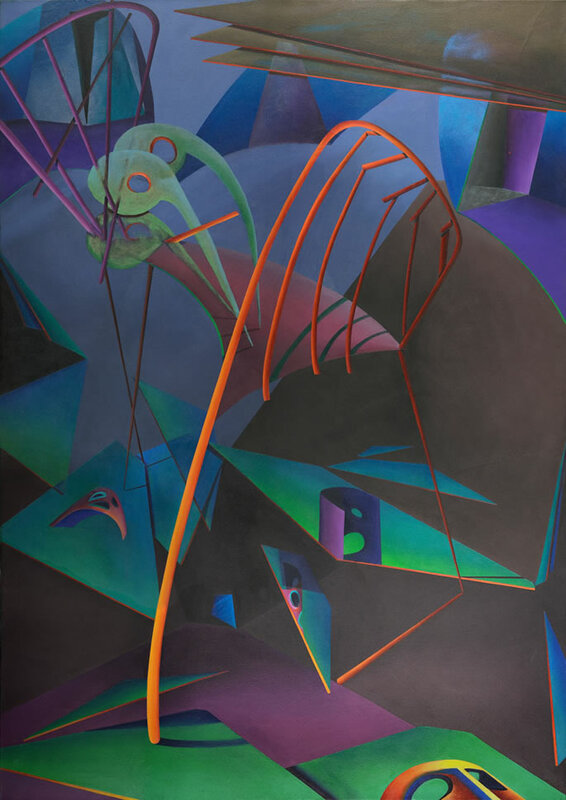 Creative works exploring life and Judaism composed by a spectrum of Jewish artists. Share your art on this blog. 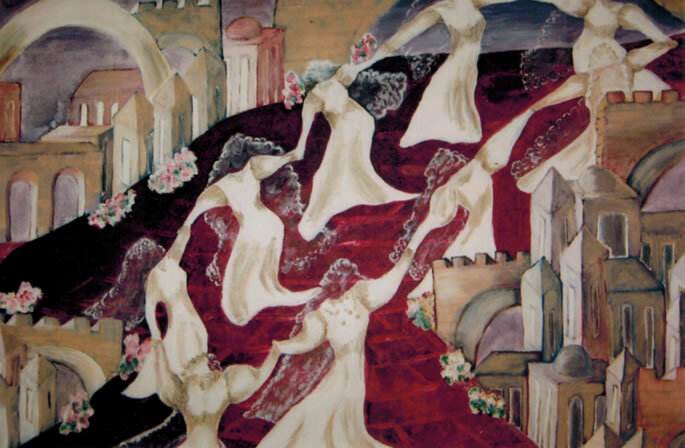 Contact our artists about purchasing original paintings.